A new European Space Agency mission has just released a new star map that gives us precise measurements of an astounding 1.7 billion different stars. While much of our frame of reference for the universe around us is our own galaxy – the Milky Way – the fact remains that our system is only a small blip on a vast expanse of space with no end in sight. With our current limitations it’s not really possible to get a close look at stars that are such an incredible distance away – no matter how interested we may be in expanding our reaches beyond our galaxy. We may have far more insight into our immediate surroundings, however, with a new detailed star map that gives us very precise details on almost two billion different stars. It’s important to note that while 1.7 billion stars is a huge amount of data for a star map and gives us a significant amount of information, it’s only a fraction of the stars in our Milky Way alone – with our galaxy boasting around 100 billion stars overall. Two percent of just our galaxy may seem a little discouraging, but the amount of data we have is staggering and should help paint a much clearer picture about the universe around us. 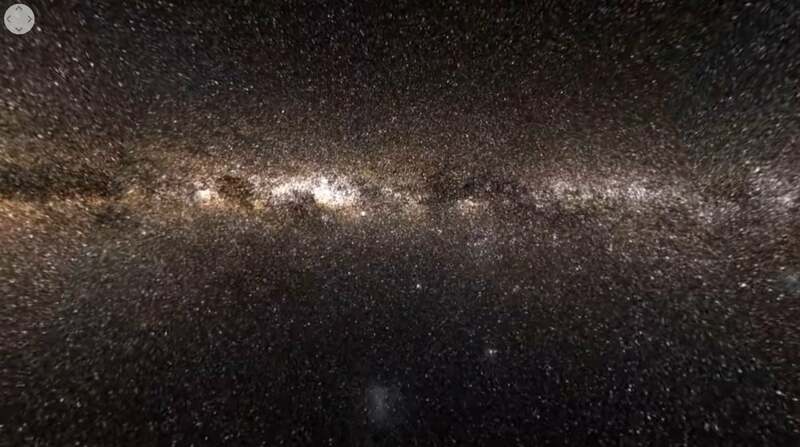 For a fraction of those 1.7 billion stars, numbering around 7 million, the Gaia spacecraft was able to add data to the star map as specific as the velocity with which they’re moving away from the spacecraft – giving us a sense of how all these stars interact together to form the Milky Way. We first got word of the extent of the Gaia spacecraft’s star map back in 2016 when we saw some initial results – but the information was just a fraction of the staggering release we received courtesy of the European Space Agency that should serve to advance our understanding of the Milky Way as a whole. Accompanying the news of this star map data were new images of our galaxy based on some initial analysis of the data – alongside little movies that demonstrate what it would be like to fly through the billions of stars we just discovered. Scientists were eagerly anticipating the arrival of this new data and are still struggling to take in the enormity of this discovery. Jackie Faherty, an astronomer at the American Museum of Natural History, told NPR that “This is like massive scientific progress and we were blinked an image.” Faherty was one of more than a dozen astronomers that woke up before dawn and gathered at a venue in New York City to watch the data come in. With the data in hand, scientists went to work creating a star map of sorts with the huge amount of information we now have at our disposal. The initial images are just a start, however, and analysis of just this mission’s data could span decades. It remains to be seen what, exactly, will come of this wealth of new information as the star map is expansive and robust. There are bound to be more revelations in the coming months as scientists get a chance to really sink their teeth into this data, but for now, we can tide ourselves over with the new animated video – included below.